A Guide to Creating was originally published in print form by Steele Roberts, NZ, as Fishing from the Boat Ramp – a Guide to Creating, and I am very proud to announce that after 5 years, it is now available on Amazon Kindle! Please also pass on the link to any one you think would enjoy it. I would particularly like student writers to have access to this book. If any reader would like to post a few sentences of review on Amazon I would greatly appreciate that. 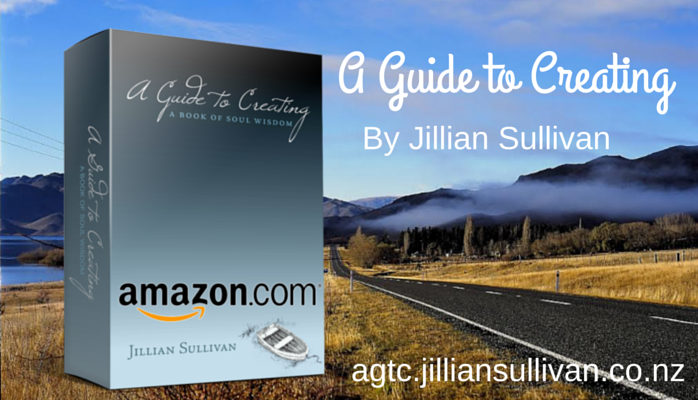 A Guide to Creating is a book to inspire and sustain the person who wishes to live creatively. It’s an allegory about a wisdom guide, Godfrey, and a writer who struggles with her craft, with motivation and most of all, with doubt. In 56 short chapters, A Guide to Creating draws insights from nature to explore powerful, spiritual truths about writing and the creative life. If you want to write, this book will help. This is not a book you would read just once, in every chapter you will find a hidden meaning and a positive message. While geared toward writers, this book has been described as: “A naturalistic meditation on the creative life. Full of soul wisdom and the glory of the outdoors, A Guide to Creating draws insights from nature to explore powerful, spiritual truths about writing and the writing life.” A insightful statement from Summer Edwards, in Philadelphia. It’s not only a guide for creating, for those readers who are not writers, artists or particularly creative types, you will find the easy bite-sized chapters wise and compelling and full of positive guidance. From teens to seniors, there is something for everyone within these pages. If you wish to help share this book, you can access the Media & Bloggers Kit here:agtc.jilliansullivan.co.nz/media-and-blogger-kit. I am very grateful for any reviews and shares.